Own your own software that you can customize the way you want. No monthly subscription unless you choose to add a web dashboard. CleverQ goes far beyond simple plotting and graphing historical data. 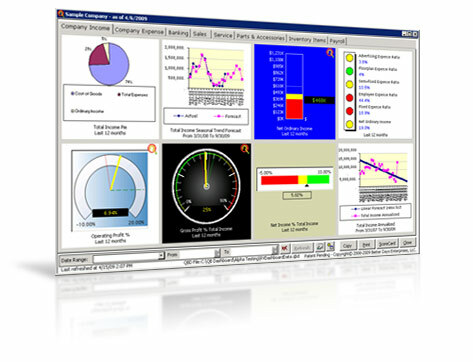 Calculate and visually display KPI, Performance Indicators and Financial Metrics. Understand your business like never before with predictive analysis & Seasonality forecasting. CleverQ is a fraction of the price set up in hours!! Analyze your business and maximize profitablity. We show you how! Get a birds-eye-view into the future of your business. Designed and tested for use with QuickBooks.